BBC NEWS | Health | Double jointed: Curse or blessing? Double jointed: Curse or blessing? The music of Rachmaninov and the bowling of Pakistan cricketer Shoaib Akhtar are digitally dexterous feats made possible by the fact that both were double jointed. But hypermobility, or joint hyperlaxity, the correct medical term for a condition found in 3% of the population, is a curse rather than a blessing for some. Howard Bird, professor of rheumatology at Leeds University, says: "There are obviously quite a few disadvantages - your joints work inefficiently and they can be more susceptible to damage and trauma and they can take longer to heal after injury. "They can give pain, particularly at times such as growth spurts and hormonal changes in females." 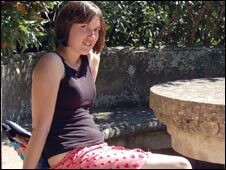 Phoebe Kemp, aged 18, who is from near Bath, has had her life plagued by her joint flexibility. All her joints are affected, and she has had to spend time in a wheelchair or on crutches because her knees were unable to bear her weight. And at the age of eight she had to give up dancing. Her joints became sore and she has had years of pain. "I had lots of MRI scans and eventually they diagnosed it as hypermobility, which means that my joints move around too much," she said. "When I was diagnosed I used to do quite a lot of dance but the pressure was damaging me and I had to stop. "I can't walk very far." But Phoebe said many people do not take her condition seriously because there are no visible signs. "You can't see it so people can't really understand it," she said. "When I used to be on crutches people used to call me a faker because I didn't have a cast, and sometimes I used to be able to walk and just needed to lean on them. "You can't see the joints move about, but there is friction. "I don't say to people that I am double jointed, just that I have a chronic pain condition." Phoebe went on a pain management course four years ago to help her cope, and she says it has made a big difference to her life. "When you are in pain all the time you get into a cycle, and stop doing anything," she said. "The course teaches you not to do that and how to move round more." Phoebe recently completed her A Levels and has been accepted on a drama course. She knows that as she grows older joints will stabilise, but is aware she will be more susceptible to arthritis. Professor Bird said the majority of those with the condition would, like Phoebe, consider it a curse - but that for others it could be a blessing. "If you can stabilise the joints you can use them to display and impress," he said. "Many sports people are probably better sports people because they are endowed with natural hypermobility and many sports people work hard to develop hypermobility . "Look at cricket, where it is very much an asset if the fingers are long and thin and hyperflexible. Providing they are controlled you are theoretically likely to be a better spin bowler. "But if your elbow is hyperflexible and bends back you can be accused of throwing the ball." Professor Bird is particularly interested in performing expertise and music. "There are a lot of examples where hypermobility of the hands might be an advantage, such as classical guitar," he said. "One hand has a fairly ease ride, but the other hand has to undergo the most marvellous stretching. So if you are hyperlaxic in that hand it is an advantage. "My own instrument is the piano, and there is no doubt that the complexity and difficulty of the work of Franz Liszt or Sergei Rachmaninov almost certainly reflects the fact that they had hypermobile hands. 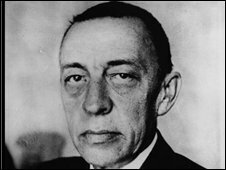 "We know that Rachmaninov did because of accounts that we have from contemporaries who are still alive. It can be an advantage - with care." Jay Kitson-Jones, of the Hypermobility Syndrome Association said there were lots of people with hypermobile joints that caused them no problems, but that it could cause serious problems. But she warned: "People do not take it seriously. Even some people in the medical profession thinks 'oh you are hypermobile - that might be good." And a spokesman for Arthritis Research Campaign said it was vital people remember there are both pros and cons. "There is a misconception that double-jointedness and being very bendy is always a good thing, but for youngsters with severe joint hypermobility it can mean years of severe pain and disability, unless the condition is diagnosed and treated properly."